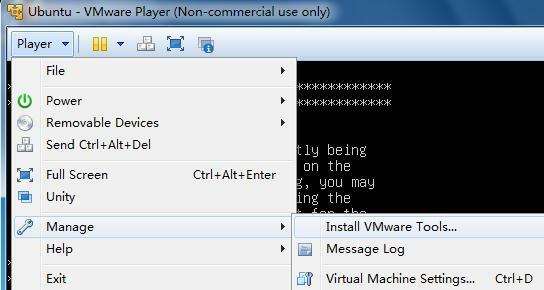 In this tutorial I’ll show you how to install the VMware Tools for Ubuntu 13.10 Saucy Salamander Guest machine. VMware Tools is a suit of drivers and utilities that enhances both the performance of the virtual machine and interaction between the guest and the host. 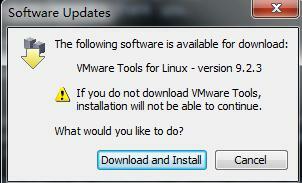 It’s not required to be installed, but most of VMware users do install. When I was installing Ubuntu 13.10 guest on VMware Player, the esay install failed to automatically install Vmware Tools. So here’s how to do it manually! 2.) 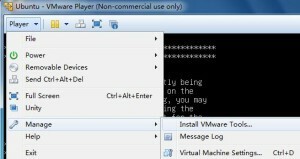 Click on VM or Manage -> Install VMware Tools …. You’ll be prompt to download VMware Tools CD image if need. Choose the default for all questions. When done, restart and enjoy!